1x Four (4) hour tour of Australia’s South West in our 1965 Mustang with Mr Mu5tang. 2. 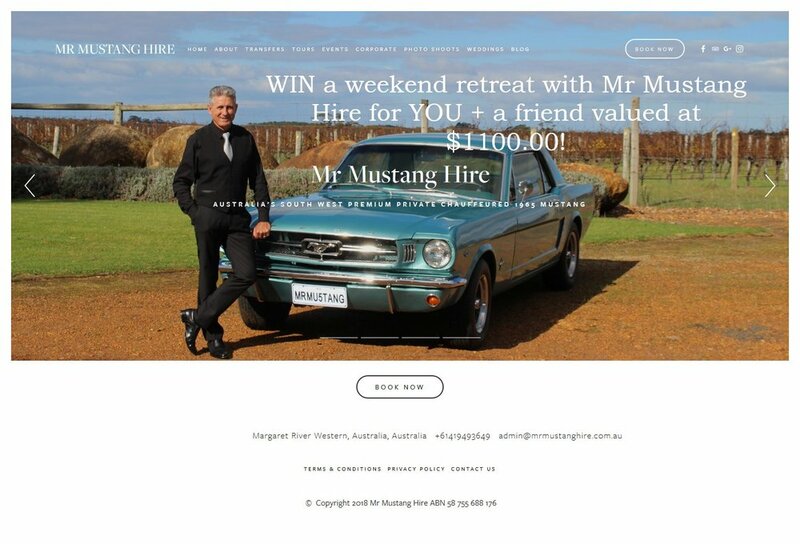 TAG three (3) friends who might like to win a weekend with Mr Mustang Hire and SHARE this post. 3. JOIN OUR MAILING LIST. Head over to www.mrmustanghire.com.au join our mailing list and be the first to get updates, the latest news, special offers and exclusive promotions conveniently in your inbox! That’s it! You can enter as many times as you like. Good Luck! Competition will close 23rd October, 2018. Winner will be randomly selected on 23rd October, 2018 and must follow all entry requirements. Terms & Condition’s Apply. Prize redemption date subject to availability. Prize valid until 31st April, 2019.